Not long ago I was contacted by Michelle Nickolaisen, asking if I'd like to review The Freelancer Planner. Of course I said "yes." Planners? Organization? Schedules? She clearly knew the way to this freelancer's heart. Total organization junkie over here. Michelle sent over a review copy of the downloadable version of her planner. This is a six-page .pdf planner (minus the cover page) that you can print at home. You would print a fresh copy for each week. 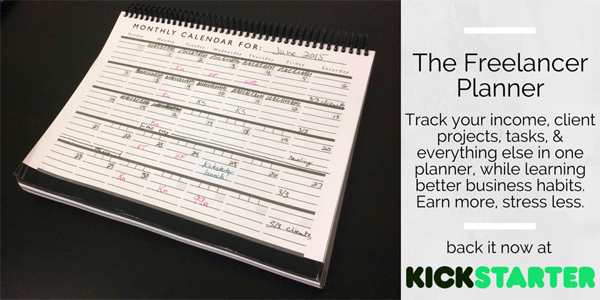 The Freelancer Planner is a Kickstarter project that you can back. You can get the full downloadable version that I'm reviewing here for a $5.00 pledge. A spiral-bound version will also be shipping in September for those who pledge $25 or more. On top of all of that, there's a monthly planning calendar to help you keep track of everything at a glance. Here's a video from Michelle showing you how to use that calendar. There's a lot to love here. I'm a big fan of printables and using offline tools to plan projects. While I do use (and love) Todoist for my day-to-day scheduling and to do lists, I prefer to keep my "big picture" planning offline -- index cards, white boards (lots of white boards), and my own project planner which you can find in the Resources section of this site. So The Freelancer Planner is right up my alley. Here's the thing though. Like I said, I'm very happy with Todoist for my daily planning. So you'd think this wouldn't be a great fit for me. But I can totally see myself using this -- even if not for my freelance projects. 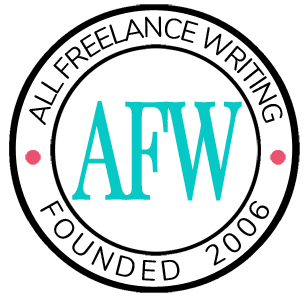 Other than the daily freelance income targets, this planner would work perfectly for indie authors, and maybe even bloggers (if they want to disconnect from the web for a little while). While this touches on the important things freelancers should consider, it's also general enough that I don't see why any business owner or creative professional couldn't use it. Its simplicity is marketing gold -- a new name and cover, and maybe a few minor tweaks, and Michelle could market this planner to several niche markets. This is one of those rare cases where I don't have any real "problems" with something I'm reviewing. If you like printable planners and you want to get more organized in your freelance business, you'll love this. The only tiny thing that doesn't work for me is the breakdown of only three priorities at a time. The funny thing is, there was a conversation about this just a few days ago (on Anne Wayman's forum I believe). And I was surprised to hear that I'm not alone in this. Most freelancers I know do prefer to have fewer major tasks, whereas the rest of us take a very breakdown-oriented approach to priorities and goals. It's just a matter of testing and knowing what works for you. So, if I had to offer one suggestion, it might be to remove the numbers and leave that area blank for people to fill in in whatever way suits them. But that's a really minor issue, and ignoring the numbers (or trying to stick to them if it's something you haven't tested yet) is easy enough. I'm not sure what else to say here other than "I love this." Organizational tools are my weak spot. If you have a complicated process now and you're looking to simplify, this could be a good option for you. And if you've never taken on weekly planning like this, The Freelancer Planner is simple, though comprehensive, enough to help you get started. 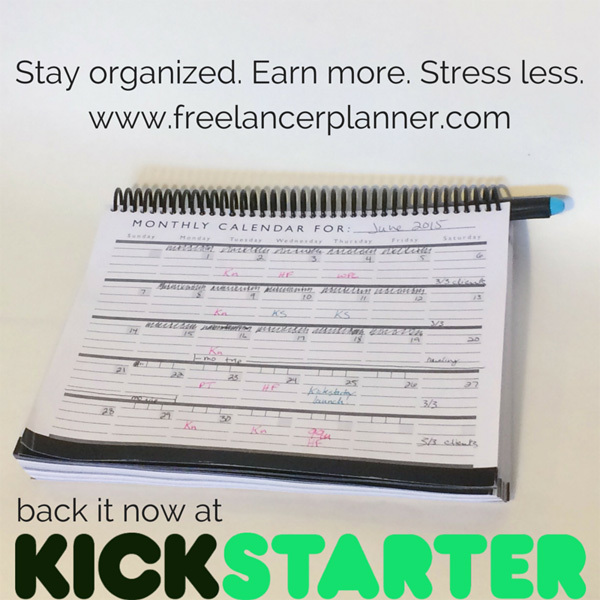 Get your copy of The Freelancer Planner (downloadable or spiral-bound) by supporting this project on KickStarter. My entire planning revolves around writing down tasks in a notepad and then scratching them out every time I complete task. It’s not very exciting but it works! I’ll definitely take a look at this planner, it looks interesting, thanks for the review!